Jim Murrihy, from New Haven Connecticut, currently resides in Dundalk Ireland has been involved in Irish dancing for over 37 years. His parents from County Galway and County Clare in Ireland instilled in him the love for Irish music and dance at a very early age. During his competitive career he has won numerous regional, national and world solo/team titles with the Smith Houlihan School of Irish Dancing. Jim was also the 2nd Irish dancer in North American history to be awarded a scholarship from the National Foundation for the Advancement in the Arts, in the category of Dance, competing against some of the best up and coming ballet and jazz dancers in the Nation. In 1995, Jim joined Michael Flatleys Lord of the Dance as an original cast member and toured Europe, Australia and North America. From 1998 onwards Jim performed Michael Flatley’s lead role in Lord of the Dance in the North American touring show and the resident show at the New York New York Hotel in Las Vegas Nevada. Jim was also an original cast member of “Feet of Flames” that performed at Hyde Park in London to an audience in excess of 25,000. During his career he has appeared in numerous National and International television shows and toured with some of Ireland’s top musicians: Donny & Marie, The Tonight Show with Jay Leno, Jerry Lewis Telethon, The Rosie O’Donnell Show, The Howie Mandell Show, The Chieftains and Anuna to name but a few. Jim has choreographed numerous Irish dance and music performances for corporate events and festivals in Ireland, Europe, Russia, Dubai and America. In 2011 Jim was approached by Nicholas Ferru (Indigo Productions) to choreograph and create with Toby Gough (Director) and Anthony Davis (Musical Director) a touring Irish dance and music show called “Irish Celtic”. This production tours extensively throughout France and Germany, with plans to take the show to other countries from 2014 onwards. 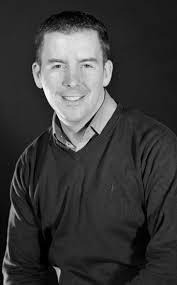 Jim is also Director and Producer with Michelle Lee of studio2stage which is a 9 day Irish music and dance show production experience for young performers that want to break into the touring industry. studio2stage is held in New Jersey USA every July. He is also a registered Irish dance teacher and adjudicator with An Coimisiun Le Rinci Gaelacha. With adjudicating various competitions throughout the year; Jim is delighted to see so many talented young Irish dancers coming up the ranks.